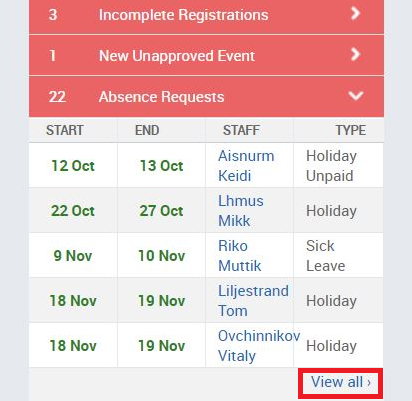 People can request their own absences in the Staff portal. In the admin portal, you will get a notification of a new absence request on your dashboard in the 'Action required' section. To accept or reject an absence request click on 'View All'. This will take you to the Absences list where you can open the absence by clicking on the pen icon. 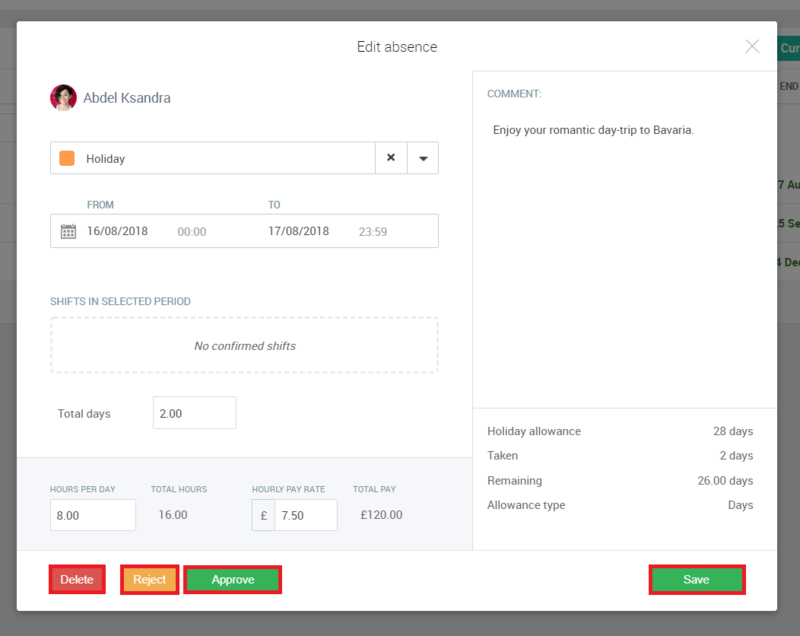 Next, a window will open with the absence request details where you can choose to Delete, Reject, Approve or Save the changes in the request. The person who requested the absence will get a notification about the decision about their absence whether you've approved it or not.